Because I don’t have enough writing to do, I’ve started a new blog covering San Diego’s new and growing wine culture along with its solid and improving dining scene. It is entitled, appropriately, San Diego Wine and Food. The latest post is about my quest for the best fish taco in town. If you have an interest in San Diego give it a read. In San Diego it used to be a large wine producing area prior to prohibition and in the 1900s. If they could do it then, why can’t we do it now? A lot of the knowledge was forgotten so we have to start again. It seems like a new tasting room opens every month in San Diego; there are now over 100 bonded wineries in San Diego County and the quality is improving rapidly. And of course there is now a great guide to wine tasting in San Diego. If you’re interested in what’s new in the wine world, check out Chris’s interview and start exploring San Diego’s wine scene. The culture of wine signifies romance. From the idyll of the farming life, to the artisan winemaker coaxing a palette of flavors out of her grapes, to lazy, sun-drenched afternoons spent sipping wine with good friends sharing a meal, wine symbolizes the good life even if the reality of the wine business is sometimes less enchanting. But the “personality” of the wines themselves are not always so fanciful. Some are powerful, some brooding, some ostentatious; others are severe,pert, vulgar, or pretentious. Wines present almost as much variation as the human personality, which is one reason we find them so interesting. 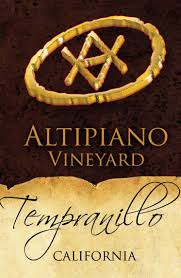 This Tempranillo has that character. Warm and sweetly sensuous on the palate, medium-bodied yet full and succulent. The evolution in the mouth is like a languorous, meandering, boat ride down a long river showing fruit first, then a mildly acidic phase, and turning leathery just as soft tannins ease you into a medium-length finish that shows the lingering after-flavor of cherry capped with a little milk chocolate. The nose has complexity and focus with black cherry, pencil shavings, and earth vying for attention over subtler intimations of smoke and new leather. This wine is non-vintage and made from grapes from somewhere in California so it is likely to be a blend. Props to the winemaker for this lovely effort. Altipiano Vineyard and Winery are part of San Diego’s burgeoning wine scene. Their first vintage of estate grapes—Sangiovese Brunello clone and Barbera–is now in the bottle and is being poured at their winery along with this Tempranillo and several other varietals. (My bottle of their Sangiovese is in storage acquiring a bit more of the patina, which every good Brunello-style wine needs) If you are in San Diego it is worth a visit to their beautiful Escondido property where Peter and winemaker Denise will greet you enthusiastically and talk about their wines. Wine drinkers of a certain age will remember Chianti as a thin, tart wine sold in a straw-skirted bottle that made an excellent candle holder after you dumped the battery acid down the sink. Made from Sangiovese vines cultivated for high yields and low cost, Chianti flooded the export market with plonk that satisfied the unsophisticated tastes of Americans in the 1970’s and 80’s, keeping the good stuff for themselves. Thanks to Italy’s wine-quality revolution, we now have access to the best wines the Sangiovese grape can produce– elegant Brunellos, earthy Chiantis, robust Super Tuscans, among the best wines in the world. The classic style of this grape is light to medium body, bright cherry flavors, good acidity, subtle, dusty tannins, fresh or dried flowers depending on age, and soft oak integrated into fragrant layers of earth, and with a tendency toward bitter herbal notes that makes it an ideal pairing for pasta or pizza. Which brings me to this Sangiovese made from grapes grown in San Diego’s North County. With warmer summer temperatures and a much drier climate than Tuscany, it is to be expected that the Sangiovese grape would express itself differently in San Diego. But perhaps more importantly, San Diego is an upstart wine region with no traditions to cement expectations, and so winemakers are free to experiment. All this ripeness and heft but with modest alcohol is an accomplishment. 20 months in oak, 30% new French oak. I served it with steak pinwheels (thinly sliced steak wrapped around roasted poblanos and cheese), and elotes—the wine made the Cotija cheese pop. Stehleon Vineyards is a small urban winery in Escondido sharing facilities with Vesper Vineyards. I highly recommend both. So called “natural wines” are not new. There have always been winemakers who believe that great wines are made in the vineyard and too much creative intervention in the winery will cover up the distinctive flavors of the soil and climate in which the grapes are grown. But the technological advances in winemaking over the past 30 years have given winemakers extraordinary control over the winemaking process and the tendency today is to use technology to eliminate flaws, reduce vintage variation, and shape wines to conform to the preferences of consumers for smooth, easy drinking, consistent juice. The result is remarkably dependable wines, sometimes great, but often mediocre and homogeneous. Enter the contemporary “natural wine” movement that would like to see us return to the days when all the vagaries, risks and rewards of nature are writ in the flavors and textures of the wine. Their approach is to resist as much as possible manipulating the wine, refusing to use the apparatus of modern industrial methods and chemical additives to adjust flavors and textures or correct flaws. 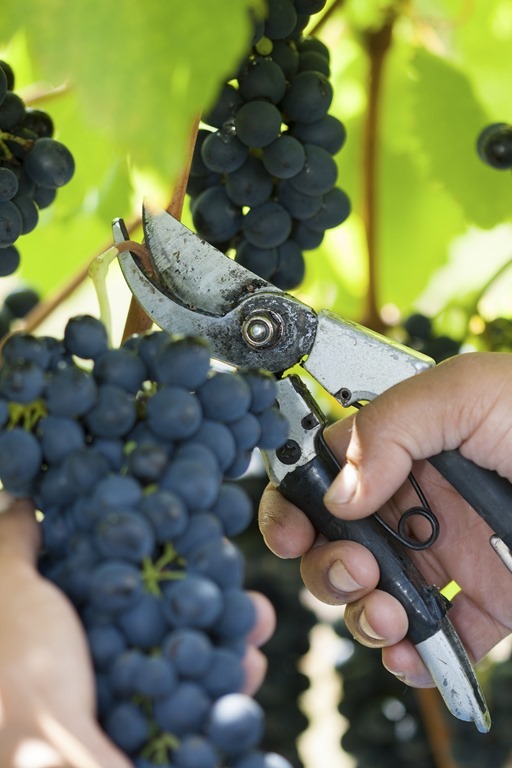 This is a dicey proposition since bad weather or a misstep in the vineyard or winery can result in disaster, and one never knows from one vintage to the next what the final product will taste like. All the risk and uncertainty is part of the fun. Not every natural wine is worth drinking; the risks are real. But when it works the result can be extraordinary—unique wines with fresh, vibrant, complex flavors, and all the excitement that comes with having won the lottery. If you haven’t tried them you should. 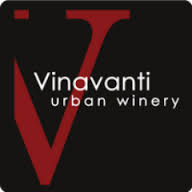 And if you happen to live in the San Diego area, the best opportunity to taste a line-up of natural wines is Vinavanti, an urban winery in Mira Mesa. Their line-up of Rhone varietals is nothing short of extraordinary. Winemaker Eric Van Drunen is the King of No—no oak, no added acidity, no added sulfites, no commercial yeast, no added tannins, no added enzymes, no fining, and no filtering. Much of this is heresy in the winemaking business, but it takes a good heretic once in a while to keep the world afloat. My favorite was the Mourvèdre. On the nose, dark plum but some strawberry jam as well, with a bouquet of flowers nestled within thick fumes of tarragon and smoke. Bold, fresh, mouth-coating, ripe fruit on the palate, almost caramel-like but with considerable finesse, light on the tongue despite its size. A slight effervescence contributes to this feeling of buoyancy. Tannins are apparent but elegant and flavorful, supporting charred meat flavors on the finish. Mourvèdre is typically not shy; it is in-your-face and often unusual and distinctive. 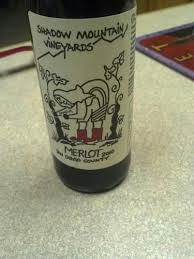 This wine immediately gives the impression of originality and will strike you as odd at first. It is the most thrilling wine I have had all year. A “walking shadow” was an understudy in a play, not quite good enough for the main role, who finally gets his chance to shine only to be forgotten after the star returns. Cabernet Franc is the “walking shadow” of the wine world. In France, it has traditionally been an understudy to Cabernet Sauvignon. As an early ripening grape, in Bordeaux it has been used as part of a blend in cool years when Cabernet Sauvignon struggles or when its floral notes are desired to add complexity. Only in cooler regions such as France’s Loire Valley does it routinely appear as a stand-alone varietal, but it typically lacks concentration and takes on green vegetal notes that many wine lovers find unpleasant. So it remains a minor player in the global wine market. But new, upstart wine regions don’t have to play by the old rules and their unique soil and climate conditions enable new expressions of traditional grapes. Washington State, New York, and Virginia are turning out interesting versions of stand-alone Cabernet Franc. It won’t replace Cabernet Sauvignon in the hearts of wine lovers but perhaps it can earn a more prominent niche for itself. We should add San Diego to that list of places where Cab Franc flourishes. As I taste through San Diego County wines, I’ve found several interesting versions of Cabernet Franc. 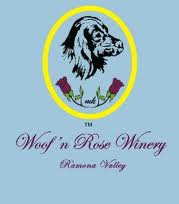 This one by Woof N’ Rose is especially noteworthy—it is sheer power and intensity in a glass but with a unique flavor profile that sets it apart. The scent of black plum stays in the background lurking behind earth notes of loam and wet leaves. Distinctive hazelnut aromas, unusual in a red wine, are prominent, set off by vanilla notes and a bit of acetone. This is a very complex and interesting nose. On the palate, black cherry and coffee meld with rich caramel, a barrage of flavor supported by a stout and muscular mouth feel with chewy, dry, somewhat woody tannins driving a long finish. This complexity reflects a very serious oak program, a blend of French and American oak. Big, bold, and a bit edgy, I wouldn’t call it elegant, but if you want power and complexity you got it . A long way from the wan and winsome offerings from the Loire Valley, it is no “walking shadow” and deserves a star turn of its own. As with most of the boutique San Diego wines, the best place to find this Cab Franc is at the winery, where Stephen and Marilyn Kahle will take you through their impressive lineup that includes some lovely blends and a very good Grenache. Tasting is by appointment only. Wine is intriguing because, unlike other fruit-based beverages, it expresses a world within a glass. 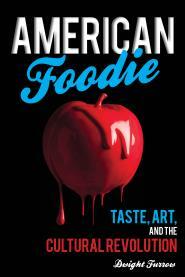 All things of the earth can appear as ephemeral flavors—animal, vegetable, mineral and everything in between. A good wine is like St. Francis of Assisi or Nietzsche’s Zarathustra summoning all the beings in the forest for company, at one with all creation. On that score, Sangiovese may be the greatest of wines. A good Sangiovese is never about the fruit alone, which is subordinate to the carnal stew of dust or loam giving birth to flowers, herbs, and kernel flavors that remind us of our own earth-bound existence. To find such wines we usually travel to the hillsides of Montalcino, the small Tuscan town where the Brunello clone of Sangiovese has been planted since the 14th Century—or you can save the plane fare and travel to the hillsides of Ramona near San Diego. 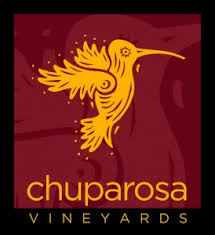 In the wine world it is sacrilegious to compare upstart regions like Ramona, where serious winemaking has the relative longevity of a fruit fly, to established wine regions with ancient traditions. But we should be willing to give credit where credit is due—it’s what’s in the glass that matters. And what’s in a glass of this Chuparosa Sangiovese (Brunello clone) will rival most mid-range Brunellos from Montalcino. The nose is full of aromatic finesse, showing seductive aromas of black cherry wrapped in layers of baked earth, dried flowers, and licorice topped off by vanilla highlights. There is some alcohol apparent as well. In the mouth, the intense cherry cola core gives way to a long, elegant finish that shows menthol or mint flavors. The evolution on the palate is lovely. Firm but polished tannins provide plenty of foundation for crisp acidity but neither the tannins nor the acidity dominate. Well-balanced, well integrated, it manages to be both pretty and muscular, ethereal and earthy. Compared to the Italian version, these grapes seem a bit riper, the bitter notes often found in Brunellos are less apparent. But it is easy to conjure images of medieval villages, wild boar hunts, grilled steak and crostini when sipping this gem. As with most of the Ramona boutique wines, your best opportunity to taste it is at the winery, in the charming company of Carolyn and Andy Harris in their lovely new tasting room. 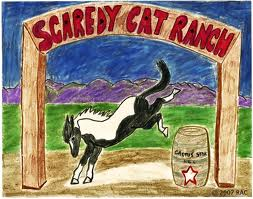 Scaredy Cat Ranch/Cactus Star Vineyard is an example. There are many dimensions of a wine that contribute to quality. But for most varietals, flavor intensity is the most important, a full expression of what the grape has to offer. This wine has loads of intensity. Bold blueberry supported by leather undertones, and layers of vanilla that shade into pencil shavings with aeration, make up this powerful but focused, complex nose. The oak characteristics are prominent but blend seamlessly with the fruit. On the palate, the fruit is dark and plush, almost brooding, but medium- grain tannins enter the scene very quickly giving this wine a broad-shouldered aspect unusual for Tempranillo. The very drying, persistent tannins generate a long finish. It is still young and will show more elegance when the tannins calm down. Tempranillo is the most prominent grape variety in Spain. In the Rioja region, it is smooth, refined, and elegant. In the warmer climate of Ribera del Duero, it is dense, muscular, and powerful. The Scaredy Cat version is much like the Ribero stlyle. The total production of this winery is about 150 cases which, in addition to the Tempranillo includes a lovely Pinot Noir, a very fine Bordeaux-style blend, and an intriguing Aglianico. You are unlikely to find them in a supermarket outside of a few San Diego locations; you have to visit the winery to get your hands on it. But then you get to talk to winemaker/owner Joe Cullen and his wife Becky, two of the friendliest people you will meet in the wine business. The tasting room on their patio doubles as the crush pad during harvest; the barrel room is a large closet, the vineyard is the front yard. 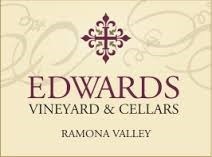 But it would be misleading to call this a hobby for them; there is heart, soul, and talent that go into making this wine, all characteristics in abundance in Ramona.